When you are building a business, it’s always about the company you keep. That’s why it’s so important to build the right board of directors and advisers — and to understand the difference between the two. While both board members and advisers must be selected with care, you should invest a lot more attention on choosing your board of directors. It’s the difference between going on a date and getting married. Choosing a board member should be a long-term commitment and a powerful partnership. Unless the CEO and founders are able to maintain control of a majority of the shares, the board has control of the company it has a fiduciary obligation to represent shareholders’ interests. In other words, your fate and the fate of your company could rest in the board’s hands. Also keep in mind that your board will have some slots that will be guaranteed for the venture capitalists who funded your round, and some of these seats are guaranteed until liquidity. However, be aware that sometimes a member can be swapped for another partner. Sometimes it’s inevitable, such as if a partner leaves the firm. But when deciding on the VC to join your board, do some checking on how often such switches happen and also gain his or her commitment to not swap. What should you look for in board members? I’ve always chosen board members who could fill gaps that I wanted adequately covered. For example, when I was the CEO of LiveOps, I selected Todd Bradley, who runs HP’s PC business, for his enterprise general management skills. I also chose Jeff Jordan, now a partner at Andreessen Horowitz and formerly CEO of OpenTable for his strategic prowess, and James Beer, the CFO of Symantec, for his financial acumen. In addition to their experience, they are also people that I totally respect and trust. That matters immensely. To build an effective board, you should aim very high for the talent you are looking for, but also ensure that the board member will care deeply about your company and engage in an appropriate fashion. As the CEO, you also have to pay attention to the chemistry and energy on the board. If you are very introverted and you have lots of egomaniacs in the room thinking they are the smartest person there, you may find it hard to get your points across. As a way to deal with this, I always viewed my board members as consultants (even those who had a guaranteed seat), and tried to evaluate which member’s advice I respected the most. Interestingly, in my multiple board roles I have sometimes noticed that the person who monopolized the conversation was often the person I would have paid the least for the advice. 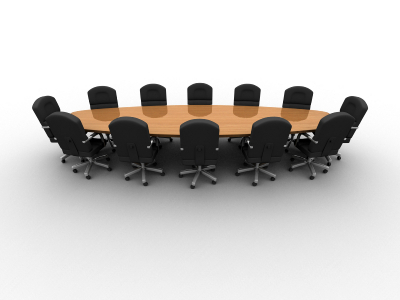 Company advisers are important but they don’t have nearly the same power as a board member. Of course, you still want to ensure you choose wisely as it will likely cost you some form of compensation for the service, such as a small stock option grant or investment in one of your rounds. However, if the relationship is not working out you can simply end it, as opposed to seeing your board member every six to eight weeks. At the Webb Investment Network, I strongly prefer leveraging the network for advice versus board seat because we like to provide advice and counsel without the fiduciary obligation of formal oversight. We also leverage all of our affiliates to advise and mentor the companies we invest in. 1. Domain expertise in area you need. This should be on a scalable level, such as running a big company, significant sales experience in your go-to market or deep technical prowess. 2. High integrity and credibility. You will be working closely with this group for a long time. They may be deciding the fate of your company and of you, so you want people of the highest character with this kind of power. 3. Willing to be hands-on and contribute. You’ll need people who are committed to the company and who also understand the line between being in the company and being on the board. 1. Deep specific domain expertise. An adviser may be a sales wizard or go-to market expert, but has not necessarily done it at scale, and that’s OK for this role. Experts are essential here. 2. Availability. They’ll need to be willing to contribute time and advice as needed. 3. Someone you would seek out and enjoy hanging with. Advisers don’t have to be the types that are comfortable in a boardroom, but they do have to be the kind of people you’d be happy to share a cold pizza with while working.